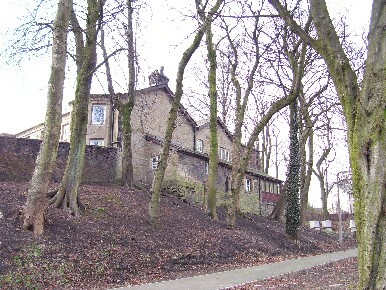 Situated on the north bank of the river Roch in the village of Heap was an extensive estate and manufacturing mill. In 1810 James Wigley took the tenancy of the small papermaking concern and turned it into probably the largest business in the British Papermaking industry. 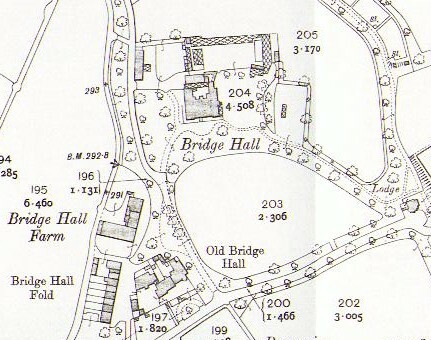 Eventually Wrigley built a new Bridge Hall, a four square victorian mansion, for there residence and the original house took the distinguishing title "old bridge hall" So in an attempt to document the history of old bridge hall, the other hall and estate name itself can be very confusing. 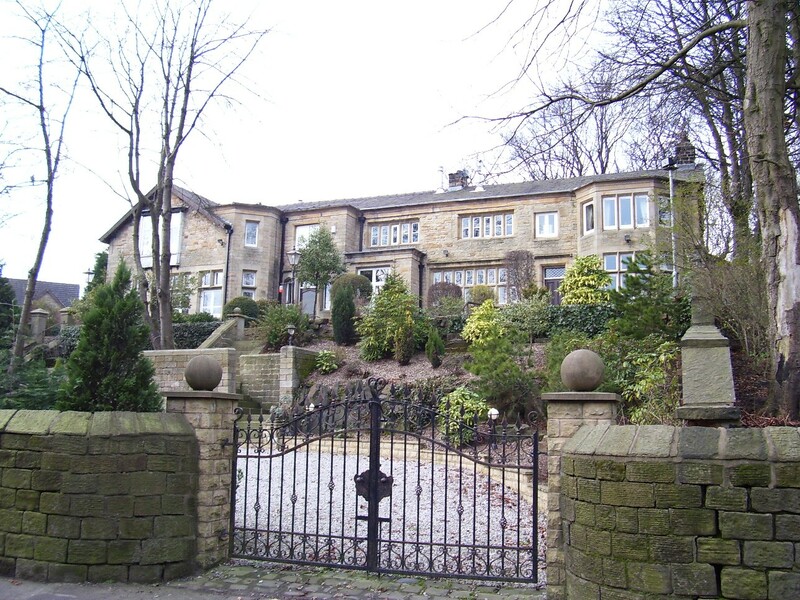 The hall probably took its name from the Bury family of Bridge who were recorded there in 1278. William del Bridge was master of the area at the time. The first definitive reference of the estate occurs in 1445-6 in a deed of "John Holt of the Bridge". 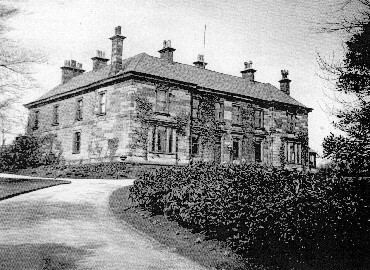 The Holt family, a branch of the Holt family of Gristlehurst, subsequently owned the hall for 250 years. John Holt married the daughter of John Clegg of The Mill House and about that time, 1480, Roger Holt of Bridge was registered as a gentleman. In 1594 Bridge Hall was also recorded a holding an adjoining water mill which was rented for 12 shillings from the Earl of Derby. This 'socage' was a tenure which was unpopular with landlords becuase the tenant owed no real service or rent and could freely sell or bequeath the land. The house was rebuilt several times and the late medival stonework was apparent on the east side with a narrow stone arched window opening. The mill and millstones and water corn mill were mentioned in the will of Peter Holt of Bridge, gent on 21 June 1651. Roger Holt son of Peter Holt mentioned a fulling mill house with the estate. Roger Holt died on 29 May 1682 and passed the estate to his son Peter Holt who left the estate to his brother John Holt. On 2 February 1691 John Holt sold the estate containing 68 acres to his cousin Nathaniel Gaskell of Manchester, founder of Cross Street Chapel Manchester, for Ł1,950. The hall had seven hearths taxed in 1666 and was one of the most important houses in Bury. 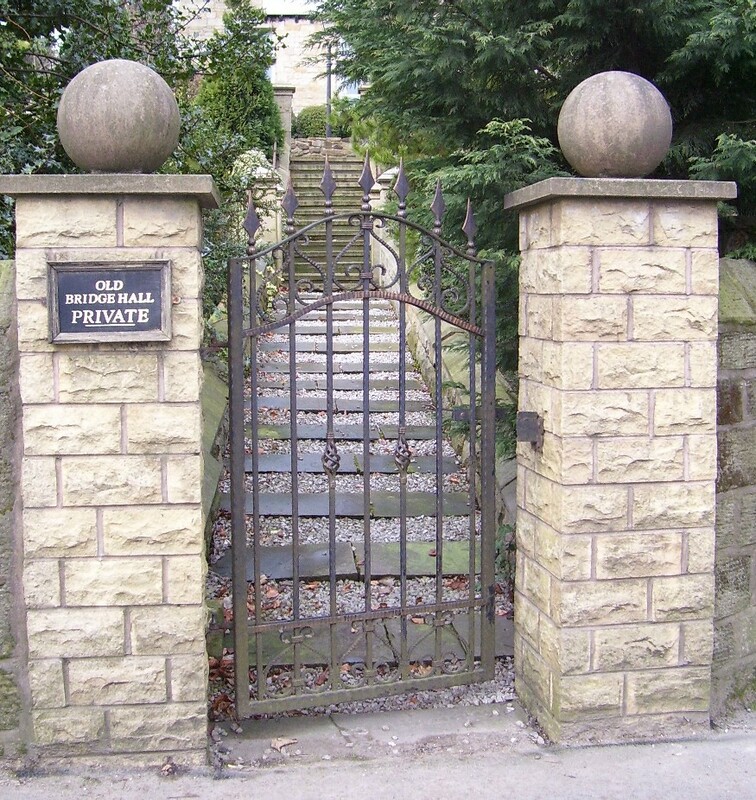 It is thought the Holt's liked there independance and Captain Peter Holt supported the parliamentary side in Bolton in the civil war against the Earl of Derby. Properties were confiscated during the commonwealth period and the Stanleys gave back the land after restoration and the 'socage' tenure was abolished. One of the Holt's then married a Royalist Greenhalgh of Chamber Hall. In 1594 a water mill adjoining the capital messuage situated at the head of the glacial overflow channel of the Roch provided a good head of water for power. Probably the water was used for cornmilling and for fulling woollen cloth.